The Association of Chartered Certified Accountants (ACCA) and KPMG are hosting the second in a series of high-level roundtable discussions in Dubai on May 5. These discussions aim to answer critical questions on the growing issue of how the financial reporting of Islamic finance can be harmonised and made more consistent internationally. The event will bring together experts from the fields of accounting standard-setting, auditing, regulation, Islamic banking and ratings agencies. The first event in the series was held in Malaysia last October and the next will be held in London, this demand reflects the growing international interest in the subject. · Should the objectives of the financial reporting of Islamic financial transactions be different from those of mainstream financial reporting? · Should Islamic Finance use distinct Islamic accounting principles to provide a faithful representation of the nature of these transactions? · Do non-financial institutions that use Islamic finance products have different accounting issues to IFIs? Muhammad Tariq, KPMG’s Head of Islamic Finance in the UAE, added:“It is timely to review the current financial reporting practices across the globe and to address the issues which might prevent a consistent internationalised approach, with all the benefits that we have seen in the development of IFRS”. Guests for the roundtable which is to be held at the Emirates Tower Hotel in Dubai, will include Wayne Upton, director of international activities, IASB, MNCs, global and local banks. · Does the prohibition of taking part in interest-based transactions influence the increasing use of discount rates for measuring the market value of financial instruments? · Are concepts such as ‘control’, ‘risks and rewards’ and ‘rights and obligations’ – essential in determining accounting treatment under IFRS? · Are the treatments of various types of profit-sharing investment accounts under IFRS consistent with the Shari’a basis for those transactions? The ACCA is the global body for professional accountants. It aims to offer business-relevant, first-choice qualifications to people of application, ability and ambition around the world who seek a rewarding career in accountancy, finance and management. 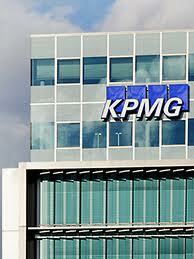 KPMG is one of the best-known names in business. Its global network of member firms provides audit, tax, and advisory services to local, national, and multinational organisations.